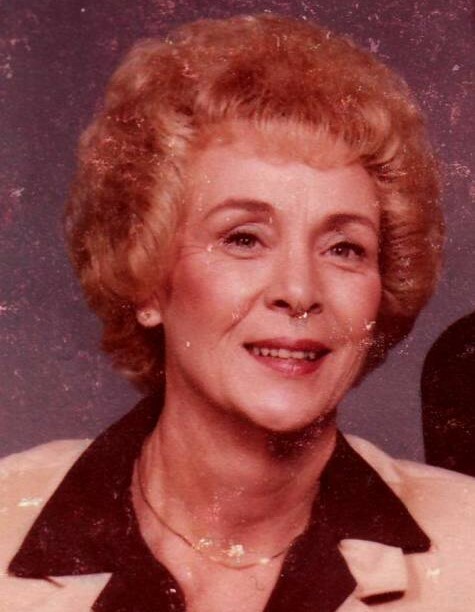 Helen Marie Nodine, age 89, formerly of Westler Lake near Wolcottville, died Friday, January 25, 2019 at Northridge Village in Albion. Mrs. Nodine was born March 17, 1929 in Albion, Indiana to Clayton E. and Geneva A. (Blaskie) Bloom. She graduated from Albion High School in 1947 and married Howard Eugene Nodine on January 24, 1948 at Blessed Sacrament Catholic Church in Albion. Howard preceded her in death on January 15, 2012. Helen was a loving wife, mother, and homemaker. She was a member of the Blessed Sacrament Catholic Church, American Legion Post 86, and life member of the VFW Post 2749 Auxiliary in Kendallville. Son, Thomas and Cindy Nodine of Goshen. Son, Jerry and Jacqueline Nodine of Rome City. Four grandchildren: Britt and Eric Egler of Brownsburg, Indiana; Clayton Nodine of Phoenix, Arizona; Hamilton Nodine of West Lafayette, Indiana; and Jacqueline Eme of Fort Wayne. Two step grandchildren: Troy Michael of Bloomington, Indiana; Jeff Schieferstein of Arcola. Great grandson, Ethan Howard Egler. She was also preceded in death by her sister, Lennettia Bauman in 1981. Visitation will be Friday, February 8, 2019 from 3:00 – 6:00 PM at Hite Funeral Home. Funeral services will be held Saturday, February 9, 2019 at 12:00 PM at Hite Funeral Home with visitation prior to the service from 10:00 AM – 12:00 PM. Burial will follow at Lake View Cemetery in Kendallville. Memorial donations may be made to the donor’s choice. Arrangements entrusted to Hite Funeral Home.